2019 Sunoco Challenge winners Linus Lundquist and Kyle Reid made their mark on the historic Daytona International Speedway, taking part in the ‘Roar Before The 24’ ahead of the 2018 Rolex 24 Hours and showing impressive speed, despite neither having visited the circuit before. Sunoco 240 Challenge winner Kyle was the first to hit the track in a BMW M4 GT4, resplendent in a striking blue chrome with Sunoco yellow colour scheme. The 2018 Mini Challenge Cooper Pro champion got up to speed with the 3.0 litre, 431 BHP machine, methodically working through the team’s schedule, building his confidence each time out. In the final session he completed a qualifying run on low fuel with new tyres and was on race pace, a great way to finish the weekend. The ‘Roar’ also presented BRDC British Formula 3 Champion Linus with his first opportunity to meet the team and acclimatise to his new car, the awesome Lamborghini Huracan GT3 EVO. He had his first opportunity to sit in the Precision Performance Motorsport-run car on Thursday, hitting the track for his first laps a day later. He wasted no time and very quickly asserted himself as the fastest driver in the car, utilising the advice of former Sunoco Challenge winner and Lamborghini factory driver Phil Keen, who was also testing at the circuit. The super Swede had his final run in the car on Saturday during the evening test session, allowing him to experience the 31-degree banking for the first time under floodlights. Having completed several trouble-free runs in the car over the four test sessions Linus can be happy with his performance, setting consistently quick times as he worked with the team and his team-mates to dial the car into the circuit. The 2019 race is a significant one with many milestones being achieved. IMSA is celebrating 50 years of close racing, Anglo American Oils is 20 years old, and the Sunoco Whelen Challenge programme has clocked up ten years. The drivers now head to Birmingham’s National Exhibition Centre where they will be attending Autosport International on Thursday 10th January, participating in a press conference at 11:00 on the Anglo-American Oil stand (number 1230) in Hall One. This will be followed by an appearance on the main stage for the drivers and Managing Director Anders Hildebrand, where they will discuss the ‘Roar’ and ten years of the programme at 14:30. “Both drivers have performed extremely well. We know Linus is a top-flight driver, but he had to take a step back because the Lamborghini GT3 EVO GTD is much softer, much heavier, and rolls much more, but I must say he has coped really well. He was very quickly on par with other drivers and I think we’ll see him improving his times even more come the race. This season’s Sunoco Whelen Challenge champion will win a fully funded drive aboard a Lamborghini Huracan GT3 EVO in the 2019 Rolex 24 At Daytona. 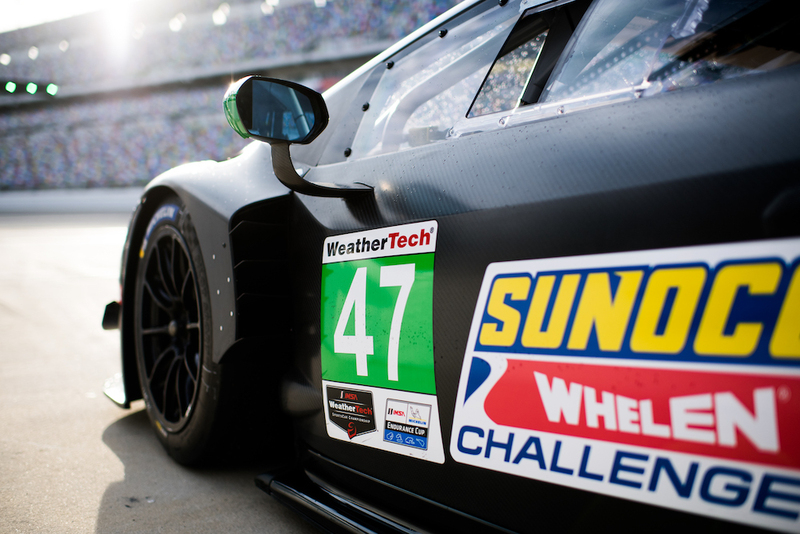 The Sunoco 240 Challenge champion will contest the 240-minute BMW Endurance Challenge At Daytona support race held over the same January weekend at the wheel of a Sunoco-liveried BMW M4 GT4 car.